Guys! I am sharing my newest timepiece today! She is gorgeous, isn’t she? 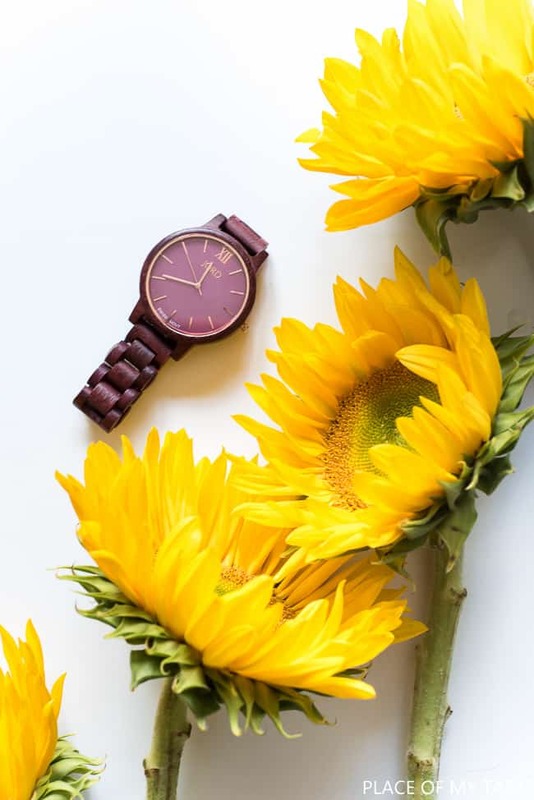 Her name is Purpleheart & Plum from JORD Wood Watches. Ok. Let me fill you in with some cool stuff here. I love a great timepiece, and this one is my 3rd wood watch from JORD. Ever since I got my first wood watch, I got hooked. They are just phenomenal, stylish and great timepieces. The one I ordered, this time, is a unique piece. What makes it unique is Its purple color, its size, and beautiful wooden details make her unique. And I loved seeing this beauty against these gorgeous yellow sunflowers. Nice contrast! 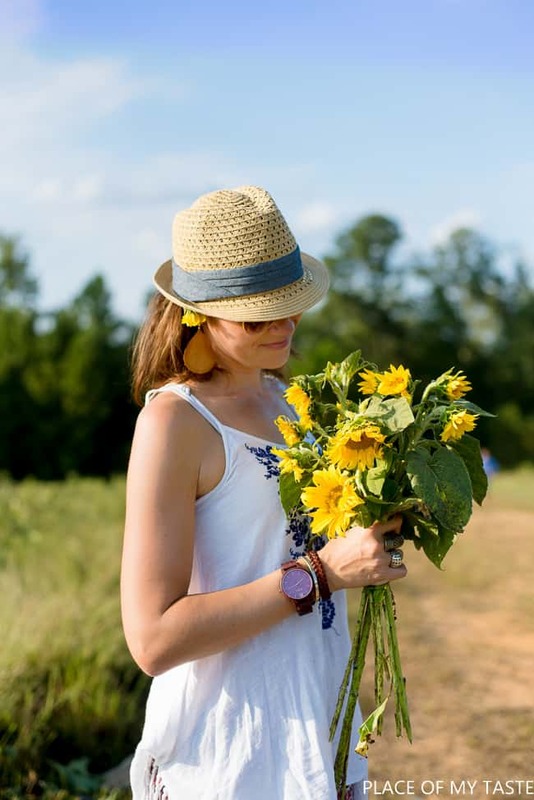 So the story of the sunflowers….Just last week we went out to a local brewery with my family, and they had a huge sunflower field where we could pick sunflowers, and we took them home. They were so beautiful although most of them were already picked, so we had to dig deep to find the cute ones. 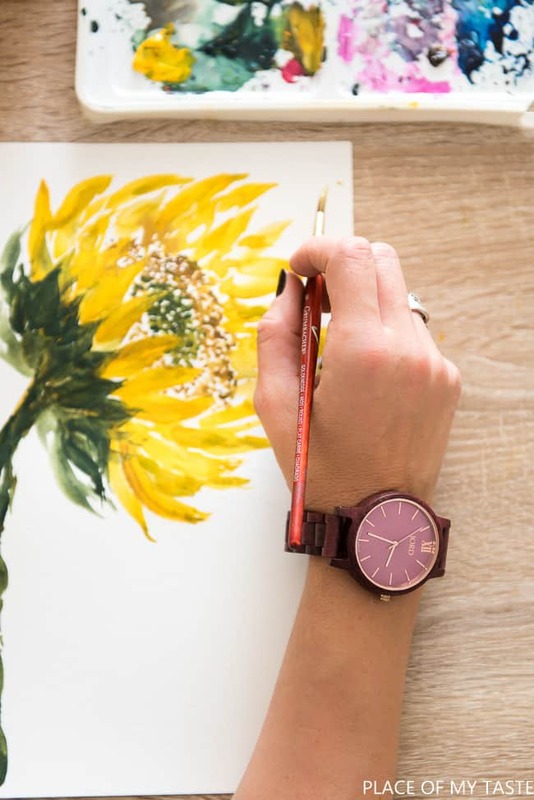 I love how the painting turned out, but I am also smitten with my beautiful timepiece. 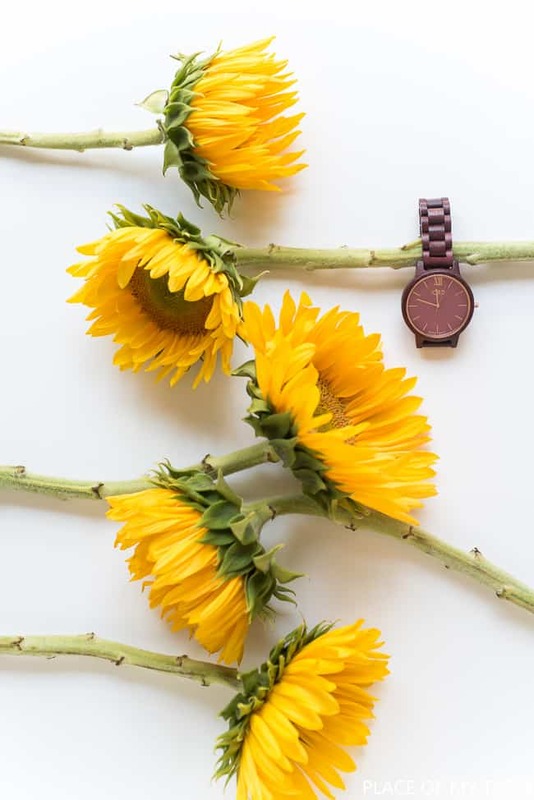 There are many different kinds of wooden watches that you can choose from. 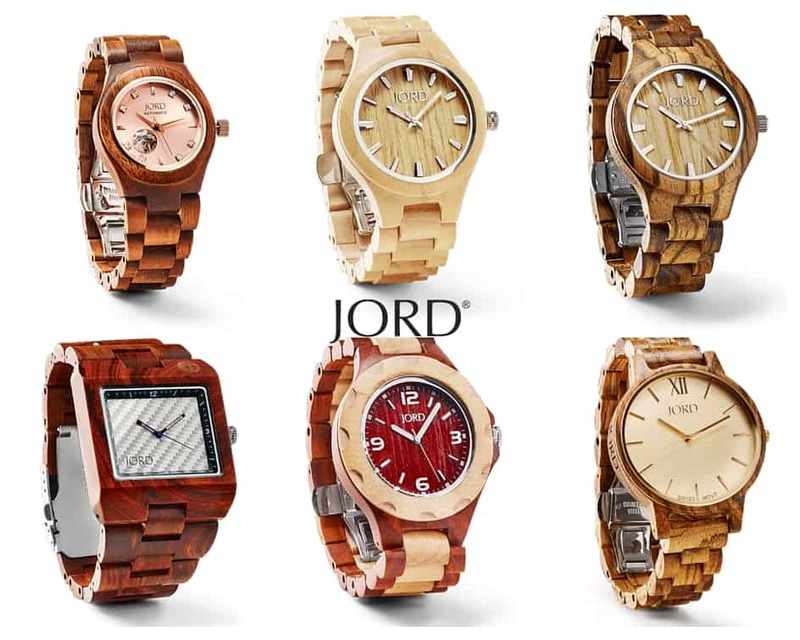 Check out all JORD’S women watches on their site and pick your favorite one! But beware! 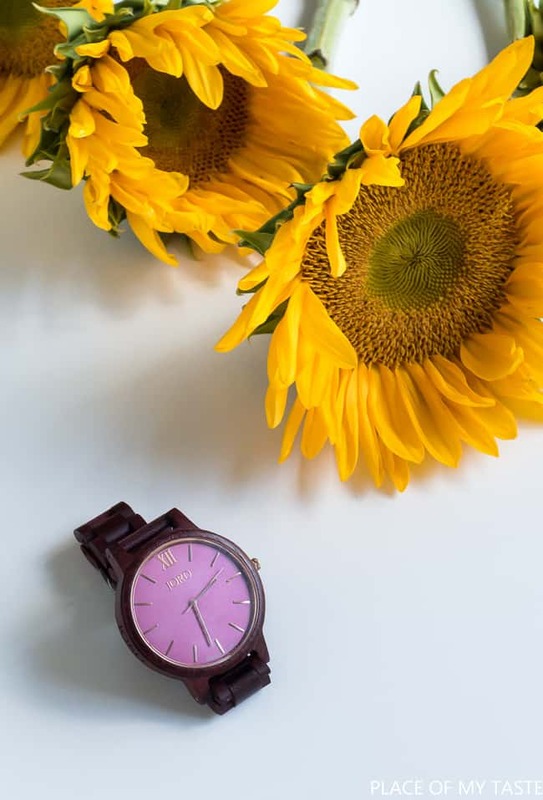 There are too many fantastic timepieces to choose from! And now here is the fun part! Jord has started a contest, and the winner will win a $100 gift code and ALL ENTRIES will receive a $20 gift code to their site! How cool is that!!! All you need to do is to click on the link below and enter your e-mail address! That’s it!